Photo from The Smithereens Facebook page. 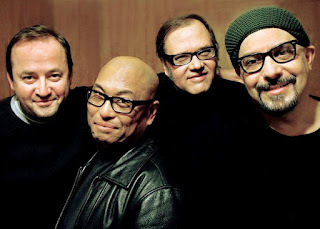 Here’s a hearty welcome to The Smithereens on their return to the Chicago area, and a few tears that I’m not at their Viper Alley gig in Lincolnshire tonight. On October 2nd, Pat DiNizio and the boys will be Blondie’s special guests at a show at The State Theatre in New Brunswick, New Jersey. Singer-guitarist Palmyra Delran’s recently released new single, “You’re My Brian Jones” was picked by Little Steven Van Vandt as the Coolest Song Of The Week on his syndicated Underground Garage syndicated radio show last week. It’s from her forthcoming CD, You Are What You Absorb, due out later this year. Delran, a former member of the very fun all-woman band, The Friggs, will be part of what seems like a Little Steven-inspired triple bill with The Party Lights and The Dahlmans at the Mercury Lounge in New York on Sunday, October 14th. Admission is $10. Ann and Nancy Wilson’s book Kicking And Dreaming, written with Charles R. Cross, is now available at stores and online sites like Amazon. The 270-page effort covers the sisters’ rock star and personal lives, and includes a section of rare photos. Chicago power pop group Van Go recently announced on Facebook that its third album, We Happy Few (it preceded their The Long Lost Last Call CD which I reviewed favorably here a while back) has recently been re-released in digital format. According to the post, this was the band’s finest hour. International power pop trio The Britannicas have a three-song digital album for sale on drummer Joe Algeri’s Bandcamp page. The 1960s remain a powerful influence on these guys, and how they create those tight harmonies when each member lives on a different continent is a marvel of modern technology. Algeri also recently released an impressive solo effort titled Faux Pas under the pseudonym of The JAC. As noted in the Palatine Patch, Hot Dog Richie’s in Palatine is hoping to raise funds for Rosie Colicci, an eight-year old who has battled brain cancer for most of her life. In order to help others like herself, she created the Rosie’s Toy Box campaign, which collects toys and books from donors. In addition to providing a venue for the event, which takes place tomorrow, September 22nd, from 11:00 AM to 8:00PM, Hot Dog Richie’s is also helping out with a donation. 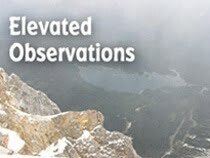 The dB’s have an upcoming gig at The Hideout in Chicago on November 15th. I saw the renowned power pop band play outside this venue as part of the annual Block Party a few years ago, when their Falling Off The Sky reunion CD was in the early planning stages. Nice to see them coming back.